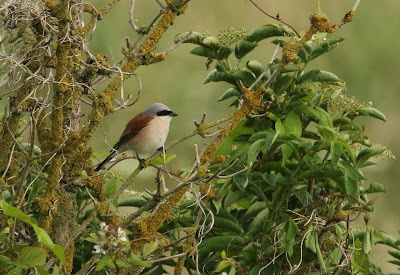 On Monday 26th June, I thought I was going to have a very pleasant walk in the evening down along Breydon south wall to look for a Red- backed Shrike around 2 miles down the path bordering the estuary by the Pumphouse. But I reckoned without an encounter with an extremely disturbed and volatile man (c40 years old short brown hair, brown shirt) walking 2 small dogs. One was white one was chestnut. He had driven his light blue car up a track just south of the farm and got out just ahead of me. He stopped regularly to tend to his dogs which were on a lead. I was following behind and both went wild, he requested I stop so he could tend to the dogs I waited and waited and waited. Five minutes later, I said it was best if I get past, so the dogs would calm down. I suggested he should keep better control of his dogs on a public footpath and what followed an appalling diatribe of the Anglo- Saxon invective and threatening and abusive language that no sane person should hear. He shouted at me at the top of his voice, threatening to "fXXXing do me in, break my legs, break my cameras and the camera lens, next time I see you down here I'll get you etc etc. I just carried on walking, I met 2 lady walkers a few minutes later and warned them of this extremely volatile and abusive man and this led to further abuse being shouted at me for another 5 minutes. I carried on walking and just before I got to birders and the bird, I was subjected to further levels of abuse for a further few minutes, by this individual, who was obviously turning back. I was very relieved to reach the safety of the birders, seeing Rene and other friends, they sympathised with me and certainly there was safety in numbers, thank goodness. I did not take any pics of this man or of his car, as evidence, because I feel it would have driven him over the edge and I could have come to serious harm, had I done so, I would have taken the evidence straight to the Police station at Great Yarmouth. I have never ever been subjected to such levels of vilification and abuse in East Anglia before. Be warned! The fine male Red- backed Shrike was seen on a distant fence, a fine male with immaculate plumage grey head, black mask chestnut brown pack and pink flush to the underparts. The Shrike perched on the wire by the third post from the end. 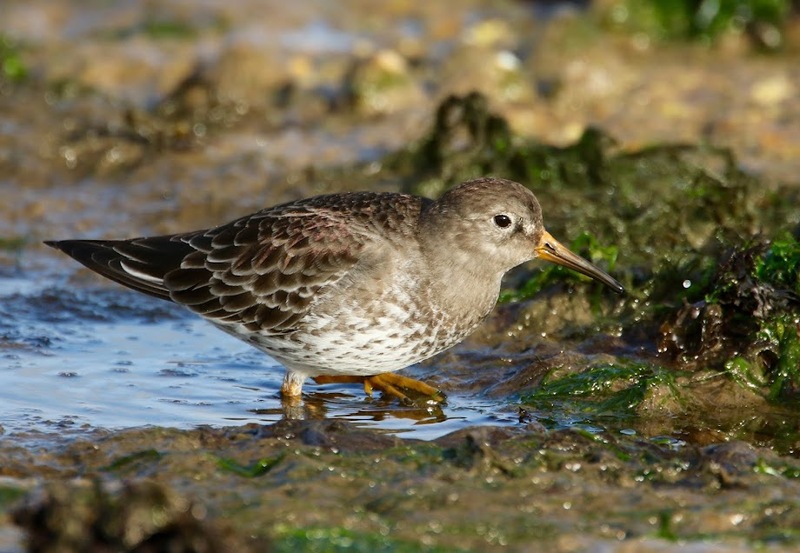 It flew onto a bush by reeds further north before eventually flying onto a bush nearer the pumphousr. In a really close bush, a Reed warbler showed well briefly too. I've met this 'gentleman' twice: once at Breydon, once at Winterton: what an unpleasant piece of work he is! Both times he made an issue about birdwatchers 'upsetting his dogs', one of which was barely restrained from attacking me! Thanks very much for your comment David. I am sorry you had similar trouble with him. I'm afraid he is seriously unhinged and if I encounter him again and experience further abuse, I will get evidence and report him to the Police.